Tiling has now been made simple and easy with these new StickTiles from RoomMates. These sticky back tiles are perfect for decorating back splashes and walls in kitchens and bathrooms, and don’t require any cement or grout for installation. 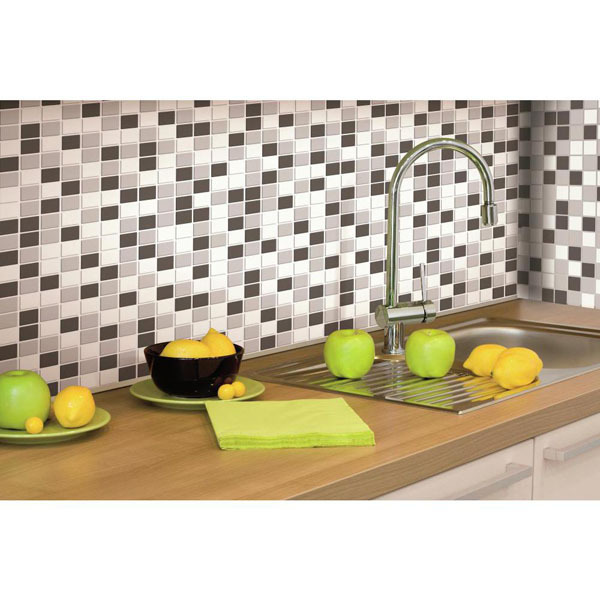 The tiles simply peel and stick onto walls and can be placed to create a seamless tiled effect with minimum effort. Made of a flexible epoxy material, the tiles can be easily cut to accommodate tricky spots and tight corners, and can also be cut to fit around outlets. Available in packs of 4, the StickTiles are perfect for those new to DIY, or are simply a great time saver for those with busy schedules.